At some stage, you may be asked to write a press release for a local newspaper – maybe to promote an event for your organisation. 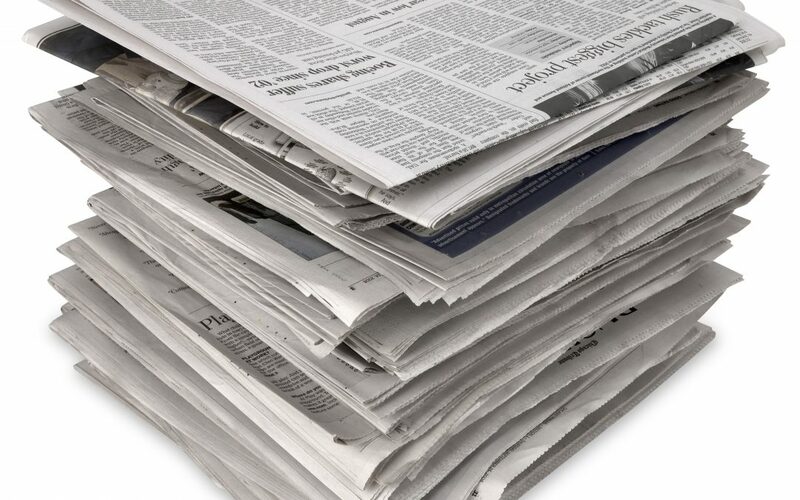 Newspaper editors will usually require a press release to be in the same style as the rest of the paper. Well, it makes sense to keep on the right side of the editor. So what is that style? For a start, you need to jump straight in with the main point. You’re not asking people to settle down with a cup of cocoa while you tell them a story. Press releases, like websites, should get the basics out there boldly, in case the reader doesn’t have time for any more. After that, you can expand on the details. Then it’s time to rethink paragraphs. The usual advice is to vary the length of paragraphs to make the visual experience more interesting. However, I have in front of me two national dailies (one broadsheet, one not) and a local newspaper. Regardless of article length or topic, their news items are mostly made up of little chunks of text of about the same size. These small paragraphs serve the same function as the ones in this post – they break up the text and lead the reader on – but in the most space-saving way possible. Often, they may consist of a single sentence. But what a sentence! Journalistic style can cram more facts between a capital letter and a full stop than you would ever have thought possible. Here’s a prime specimen of the craft, in an article about Manchester’s 2017 mayoral elections: Labour’s Andy Burnham, the Leigh MP and former Health Secretary, will launch his manifesto today by vowing to put young people at the heart of policy if he is elected mayor for the region in May. That’s significantly longer than any sentence in this blog. But it reads easily enough. Let’s have a look at what this sentence is actually doing. Who’s he? The Leigh MP and former Health Secretary. What’s he up to? [He] will launch his manifesto. How? By vowing to put young people at the heart of policy. Any conditions to that? If he is elected mayor. Again, this style saves space. Otherwise each separate fact would need its own sentence, such as He will do this if he is elected mayor. That uses more words in the long run. So what seems quite different from other types of writing has its own internal logic. Steve Moonshine, Managing Director of Tartan Paints Ltd., today explained plans to give a major demonstration of advanced paint-drying if the weather remains fine at the trade fair in Trumpton this weekend. Think of a question people might have, answer it and add another fact as you go. Be prepared to end your sentence at some point, though – much longer, and it could sound silly. No, I mean really silly. As you’ll have spotted from the example above, news articles are nearly always written in the third person, unless you are already privileged to be a columnist with your own Comment section. In other words, it doesn’t matter if you’re the head honcho of your event – you write as if it will all be happening to someone else. Not We will be demonstrating… but Tartan Paints Ltd. will be demonstrating… or There will be demonstrations of… You should not use the words I / we / my / our, except in a quote (see below). Put all main facts at the start, then expand. Sentences can be long, but they should contain lots of facts, not just waffle. Use quotes for your own opinion. This is just a quick guide to the general principles of much news writing. It doesn’t cover it all, and it won’t apply to all articles – but it’s a start. Text styles and genres are blurring. Email newsletters chat to you as if you’re an old friend; blogs tell stories to give people information; adverts masquerade as news. But it’s always useful to know about the typical traits of one or other genre. That way you can make informed decisions about when and how to break their ‘rules’. The main rule is: Do what the editor tells you. Here endeth the lesson.